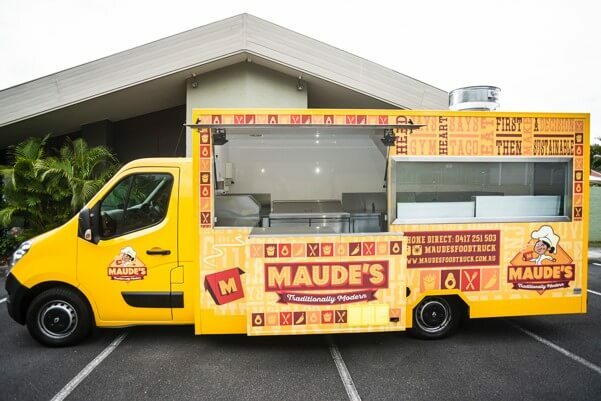 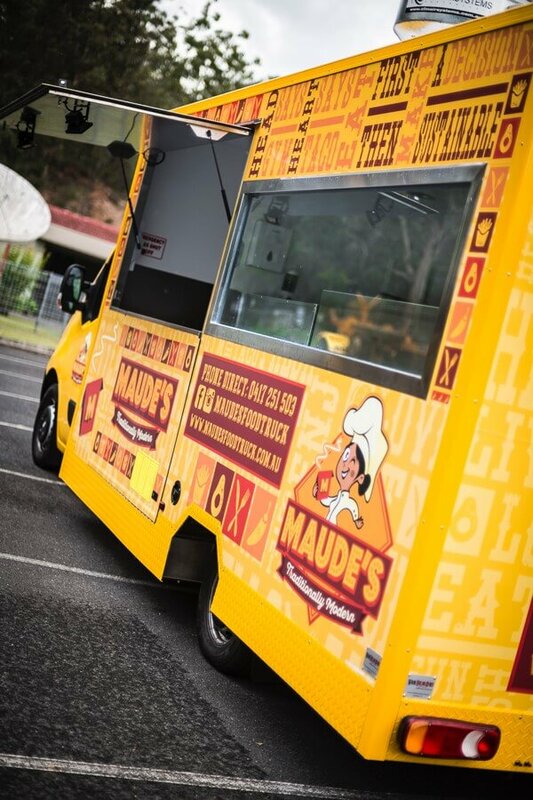 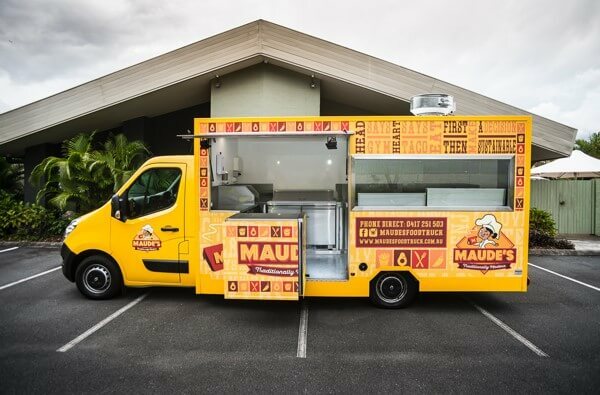 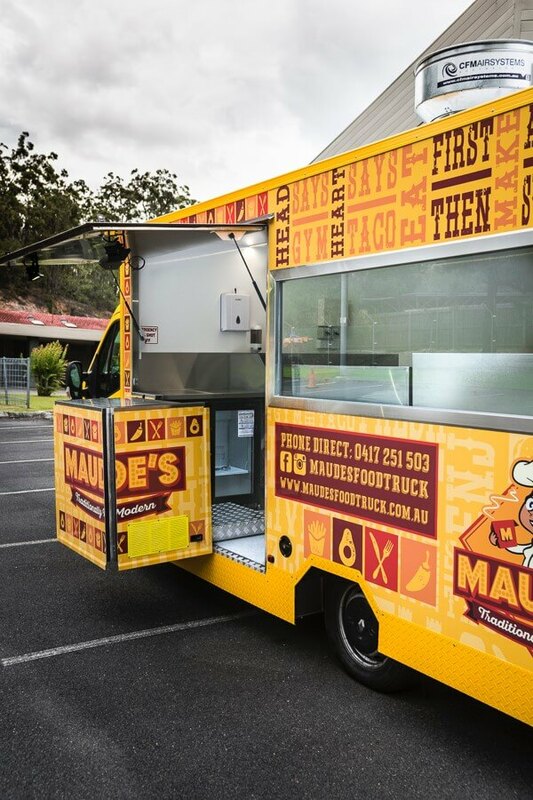 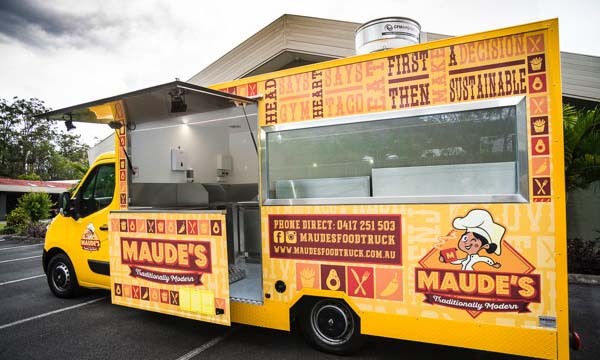 Wayne of Miss Mabel’s is back, less than 12 months after launching his first successful food truck in Sydney, with Maude’s, one of our greatest creations yet. 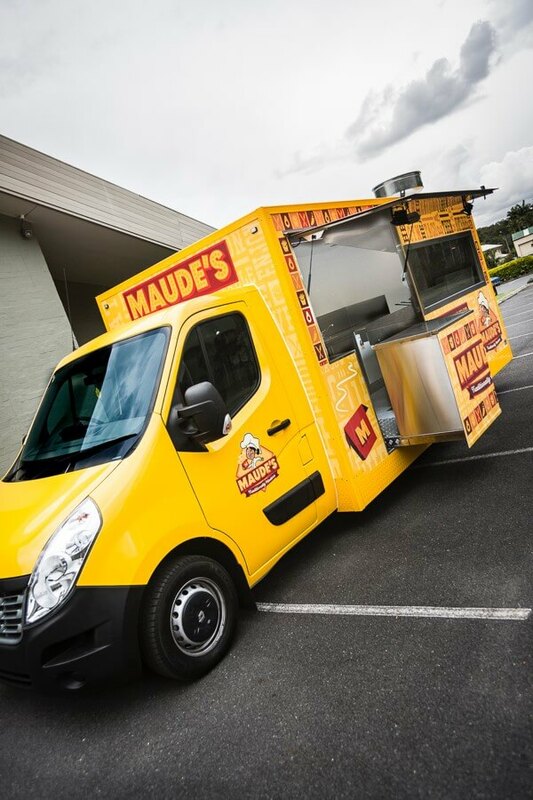 Built onto the back of one of our fave trucks, the Renault Master cab platform, this truck has got the lot. 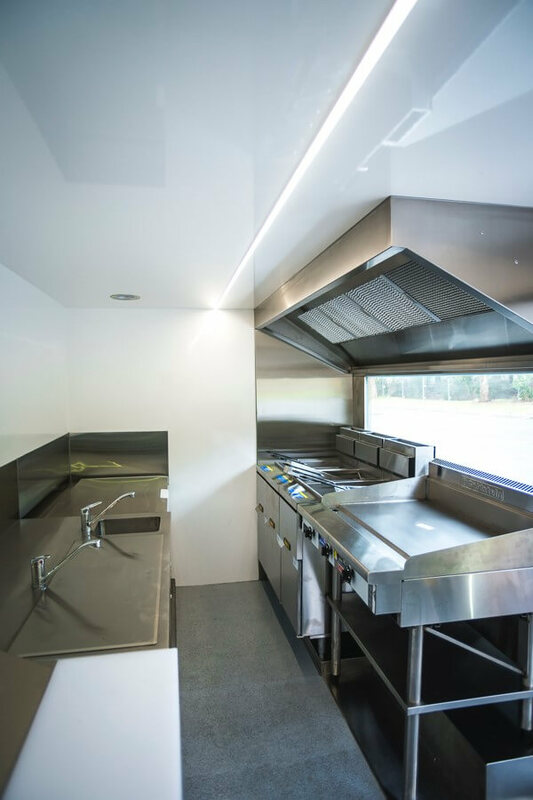 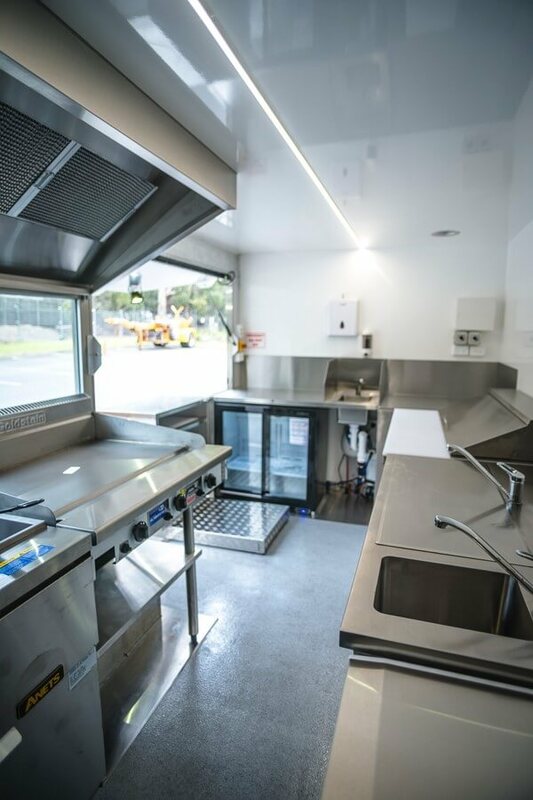 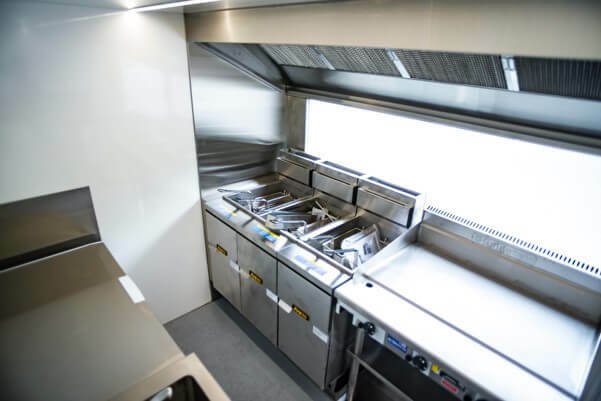 Having a 4.2m long body with a push out counter from which to serve their customers, (great for allowing more kitchen space), a toughened glass window to show off the theatrics of their kitchen, three Anets deep fryers, a Goldstein grill, and plenty of refrigeration, this truck is well geared to serve at the biggest of functions. 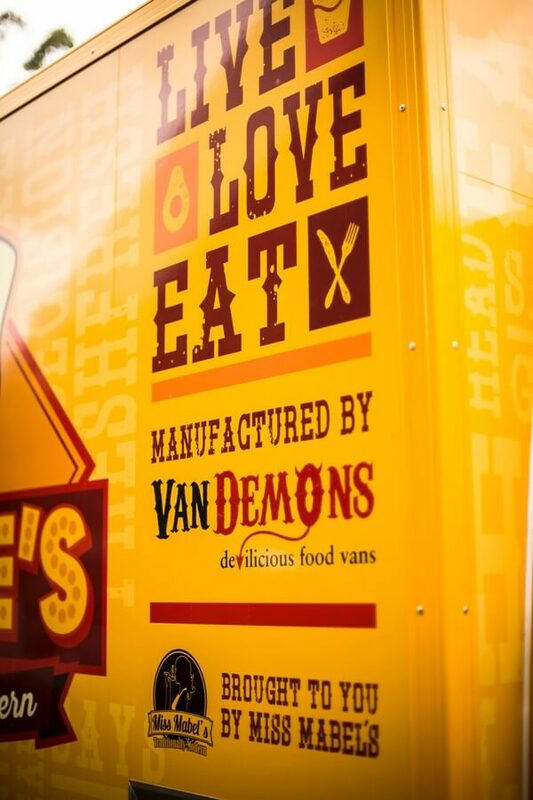 Thanks to to our resident photographer Olli, who not only helps to build great food trucks, but takes awesome photos too!